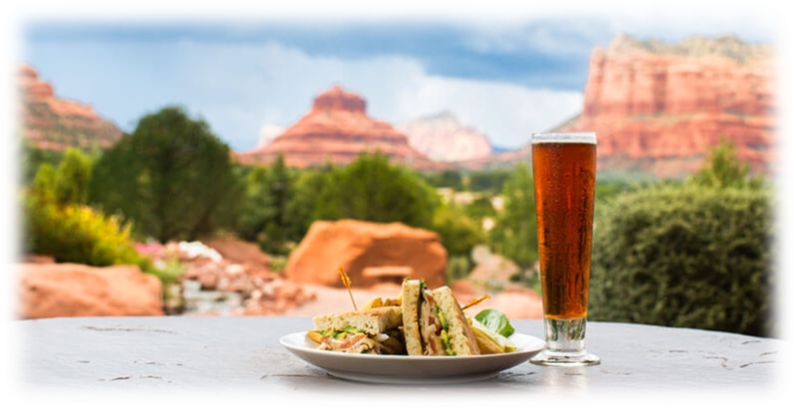 The Juniper Bar & Grille at Sedona Golf Resort offers an incredible blend of amazing food, friendly service and stunning panoramic views of the Red Rocks of Sedona. Want to enjoy the weather? Dine al fresco on our stunning outdoor patio. If views of the Red Rocks weren't enough we also have views of our beautifully manicured golf course, Sedona Golf Resort. Our menus include something for everyone, with consistency and value being our top priority. Please join us for a breakfast, lunch, a glass of wine or one of our signature cocktails. We're open everyday between 8:00 a.m and 4:00 p.m.